There are times when I wish I lived in the distant past when life must have been simpler. Before cars, before television, before computers! The wish is fleeting however because I know that simpler times were also harder in many ways. Lately I am very happy to be in the year 2007. I am so fortunate to have a digital camera (broken now, which is a whole 'nother story) to instantly record all of the "works" we are studying in my Montessori training. Just one decade ago I would have had to get all of those rolls of film developed every other week! And while it is sad that people are less connected to their neighbors in so many ways we have the ability to connect with people from a wide variety of backgrounds all over the world. I have found so much inspiration from the e-mail groups I am a member of and the websites and blogs I visit. One in particular is the blog Montessori By Hand by Meg McElwee. Meg is a Montessori teacher temporarily living and teaching in Creel, Mexico. She is personally and professionally amazing. On the one hand I am absolutely envious of her creativity, especially her ability to knit and sew. I have no capacity for anything involving needle and thread. On the other hand I feel so blessed to be able to learn from someone living 1,833 miles away (yes, I googled the distance). She is the most dedicated Montessori teacher you will ever "meet." Because of the times we live in it is possible for a Montessori teacher living in Mexico to share her albums with someone living in Michigan. And that is exactly what she has done! Purely out of a passion for Montessori education and a concern for children everywhere she has offered her practical life, sensorial, mathematics and language albums in PDF format to homeschoolers. All you have to do is e-mail her, introduce yourself and let her know you are interested! She is offering them free of charge but I was so overwhelmed by her generosity I sent a donation to her paypal account. The albums are gorgeous and thorough and you will love them. Thank God for technology! I don't care for fiction much. My husband reads the latest bestseller while I am content to get cozy with a book on educational philosophy. I have just finished Montessori: The Science Behind the Genius for the second time. And I didn't read it in bed every night for its soporific qualities either. I devoured it like it was the juiciest of novels because, for me, reading study after study in the field of cognitive psychology that support Dr. Montessori's findings a century ago was so thrilling it gave me goosebumps! The author, Angeline Stoll Lillard, is a cognitive psychologist and daughter of respected Montessorian Paula Polk Lillard whose books are required reading for my Montessori teacher training. The Science Behind the Genius is an in depth but highly readable account of how the latest research in the field of cognitive psychology continues to bear out the work of Dr. Maria Montessori. Dr. Lillard takes eight principles of Montessori education (there are more) and examines them under the lens of 21st century science. Movement can enhance thinking and learning. Extrinsic rewards have a negative impact on motivation. Learning in meaningful contexts is deeper and richer than learning in abstract contexts. As I read each chapter, it struck me how much of what Dr. Lillard writes naturally applies to home education or could easily be applied to home education with a little effort. For my readers who care about this sort of thing I will look at each of these principles and offer my own take on how to apply them in the home. Come to think of it, this information is not just for homeschoolers per se but any parent who would like to enhance their child's education at home. MOVEMENT - In traditional classrooms most learning is accomplished through listening, reading, reciting and writing. In Montessori classrooms learning is accomplished through movement. On a grand scale children are free to move about the classroom and choose not only what they would like to work on but where they will work on it (sitting at a table, stretched out on the floor, etc). The "works" themselves, all of them, across the curriculum, involve physical movement. One of my favorite Montessori quotes is, "The human hand allows the mind to reveal itself." And one hundred years later research shows that movement and cognition are closely intertwined. So get your child up out of his chair and moving about! 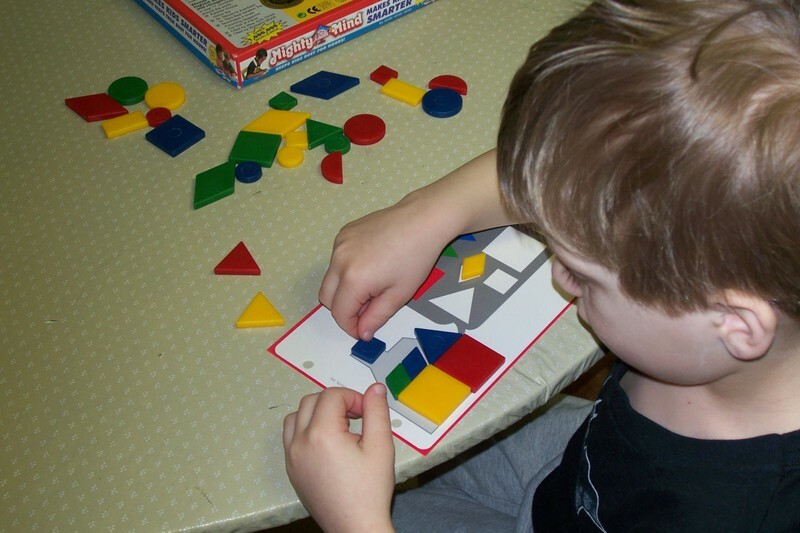 Choose hands-on activities and manipulatives over seatwork and workbooks. CHOICE - Because of the way a traditional classroom is structured, giving the students free choices would be tantamount to anarchy. In Montessori classrooms there are different types of activities to choose from. In both children and adults, the ability to choose one's work is associated with several positive consequences. People learn and remember better, solve tasks better, and opt to engage in tasks more and longer when they think they have more control. 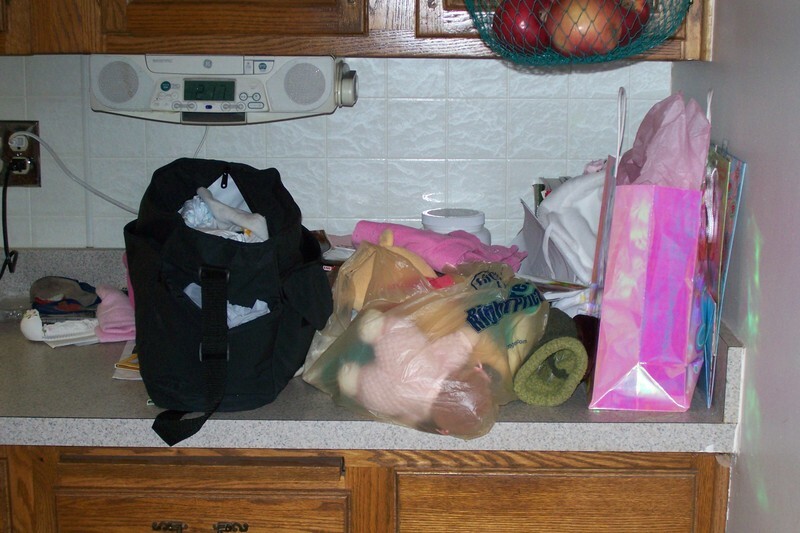 Is your child free to make constructive choices at home? What branch of science is Joseph interested in studying this year? Would Mary like to plan out a week's worth of menus? INTEREST - In a traditional classroom setting children are clearly not able to follow their own interests. What is taught is dictated by state guidelines. Montessori students pursue their own interests. Whoa! You may be wondering if that is wise given Johnny's limited scope of experience. There are two types of interest: personal and topic. 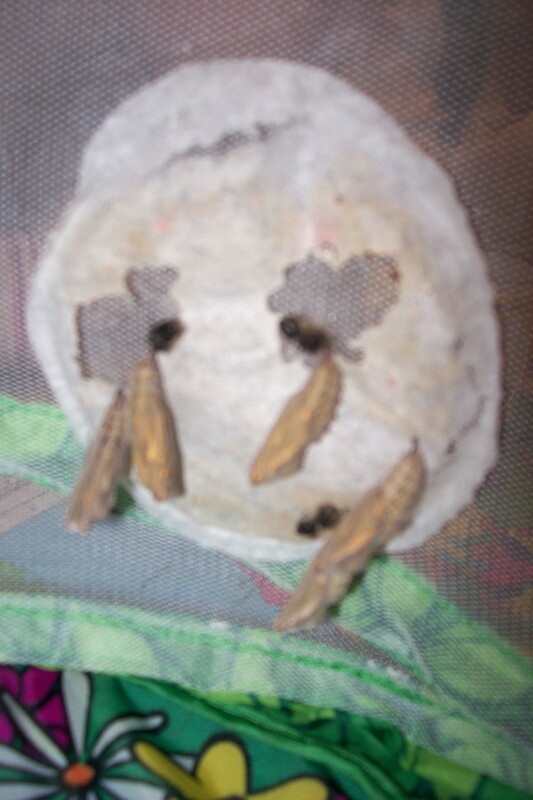 Your child may be obsessed with insects and that is a personal interest. He may become interested in the solar system if his teacher gives a particularly seductive presentation about the planets and/or if the classroom materials about the planets are attractive and inspiring. This is topic interest. Montessori teachers are meant to observe the children carefully and to be sensitive to the timing of each lesson so as to elicit maximal interest. As parents, we hold the trump card. We know our children best and can be on the lookout for personal interests. As for topic interests, we can leave intriguing books on the coffee table, invite a neighbor over for dinner to share their passion for marine biology and pursue interesting hobbies ourselves. LEARNING FROM PEERS - It always struck me as funny that the number one criticism of homeschooling is that the child will not be properly socialized. The schools I remember told students to stop talking and passing notes. You're not here to socialize! In contrast, Montessori students are free to work alone or with one another. They often chat while they are being productive and the classrooms hum with activity. Dr. Montessori claimed that people learn not by being told but by watching and doing. Research shows that collaborative learning has academic and social benefits. In the family, especially the large family, these relationships are natural. In one of the studies Dr. Lillard cites the collaborators benefit from knowing each other better and, in the same vein, children learned more from older siblings than from older peers. Enlist your older children to help educate the younger and both will benefit from the arrangement. MEANINGFUL CONTEXTS FOR LEARNING - Traditional schooling is separated from real life physically (the school building) and conceptually (e.g. vocabulary lists are taken from workbooks made by someone else, someplace else). Montessori education is designed to provide meaningful contexts for learning in several different ways. Outside of the classroom, Montessori students practice "going out" to conduct research, run a business, see real life applications, and be involved in service projects. If nothing else, the homeschooling lifestyle is flexible so this is an area where we can excel. 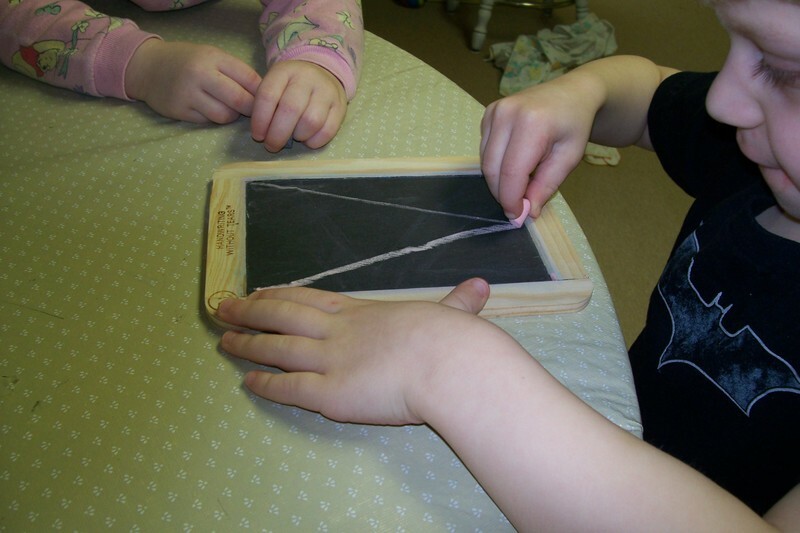 Dr. Montessori had a close hand in the development of the entire Montessori curriculum across ages 3-12. This interconnectedness of materials lends Montessori education a remarkable high degree of rationality and coherence. While mom probably didn't design all of her curriculum materials she did choose them and can probably explain her rationale for doing so. Also, parents have the benefit of knowing their own children better than anyone else can. THE TEACHER - Teachers in traditional schools vary widely. I'm sure we can all recall the good and the bad. Dr. Montessori was very opinionated about what type of person a teacher should be: She must be an excellent observer. She must maintain an inspiring learning environment. She must appropriately time new lessons and she must intervene when children need guidance or structure. More importantly, a teacher must prepare himself interiorly by systematically studying himself so that he can tear out his most deeply rooted defects. Time and again Dr. Montessori refers to what she calls the "spiritual preparation of the teacher." Nothing reveals one's defects greater than homeschooling. The awesome responsibility of educating your children in addition to the keeping of the home and the myriad duties of family life tend to reveal you for what you are. If rooting out vice can be likened to a 12 step program, the first step is definitely seeing what those vices are. ORDER IN ENVIRONMENT AND MIND - Just as teaching styles vary widely in traditional schools, so does the level of order in the classroom depend upon the individual teacher. Montessori classrooms do not have tightly ordered daily schedules but they are very orderly in terms of how tasks are enacted. The curriculum as Dr. Montessori designed it is extremely organized. And the Montessori classroom is by necessity highly organized and aesthetically pleasing. This can be a huge turnoff to some parents upon seeing a Montessori "Children's House" for the first time. There are no colorful posters, stuffed animals or toys. So unlike the typical public preschool.....and so what children need now. 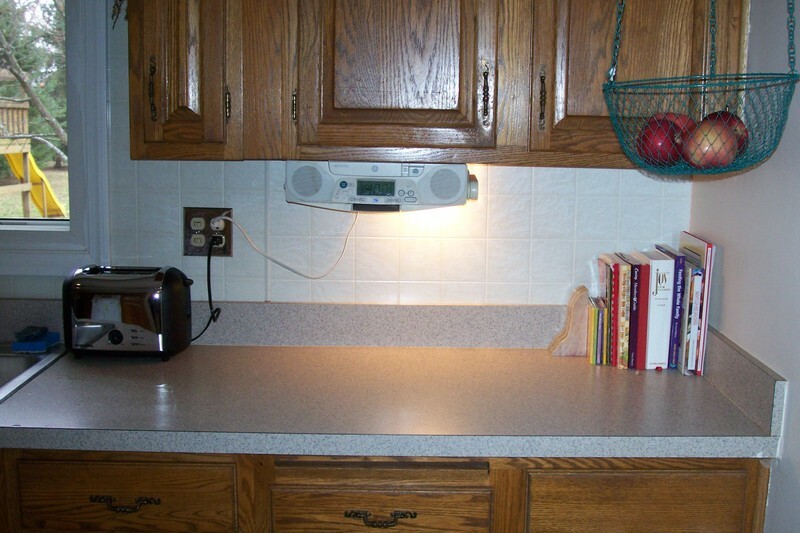 Parents fortunately have complete control over their home environment. Is it orderly? Is it beautiful? So there you have it. Believe it or not, this lengthy post is a very brief treatment of my subject. It merely skims the surface. If it has whetted your appetite for more you have to read Montessori: The Science Behind the Genius for yourself. It is an expensive book but I checked it out through inter-library loan - both times : ) If my comments seem slapdash please refer to Dr. Lillard's amazing book. She quotes study after study that support Dr. Montessori's century-ago findings and some of the experiments are themselves really fascinating if you enjoy reading that kind of thing as I do. how hard it was to learn something that is second nature to us now, like the concept of alphabetical order, for instance. Just look at that concentration face! His assignment was to put words in alphabetical order using an alphabet strip for reference. It took a while, but he did it. It was a lesson in patience for Mom who used to work in a library and whose nature it is to alphabetize or otherwise order everything. Pattern blocks are so much fun! They can be used to teach the names of colors and shapes for very young children and older children can put them together to make pictures of varying complexity. There are many products out there but we use Mighty Mind. While I am not convinced of the claim that it "makes kids smarter" they definitely do encourage problem solving and concentration. Cuisenaire rods are an ingenious math product. Invented 75 years ago by a Belgian teacher, Georges Cuisenaire, to help students grasp abstract math concepts they are widely used among homeschoolers. I have seen them used in a Montessori lower elementary classroom as a supplement to the math curriculum. 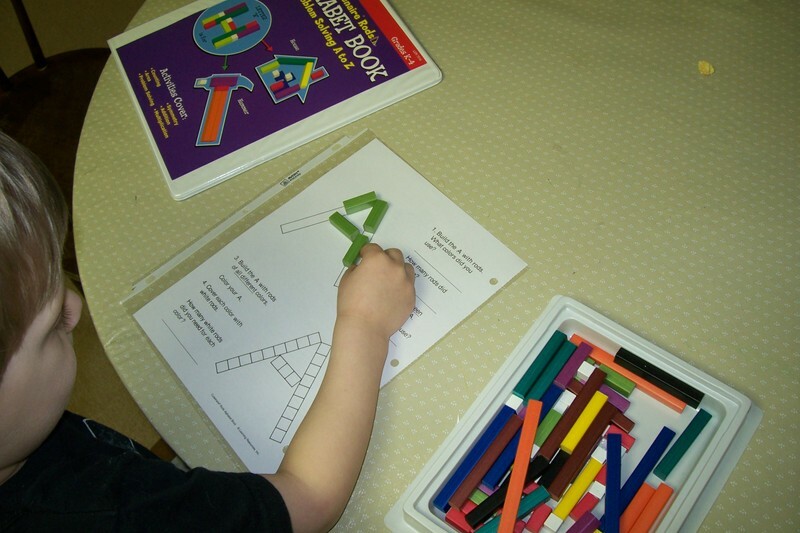 We have begun with the Cuisenaire Rod Alphabet Book and in the future we may use Miquon math materials, a Cuisenaire rod based math program for grades 1-3. As with the Montessori method, we begin writing before reading. 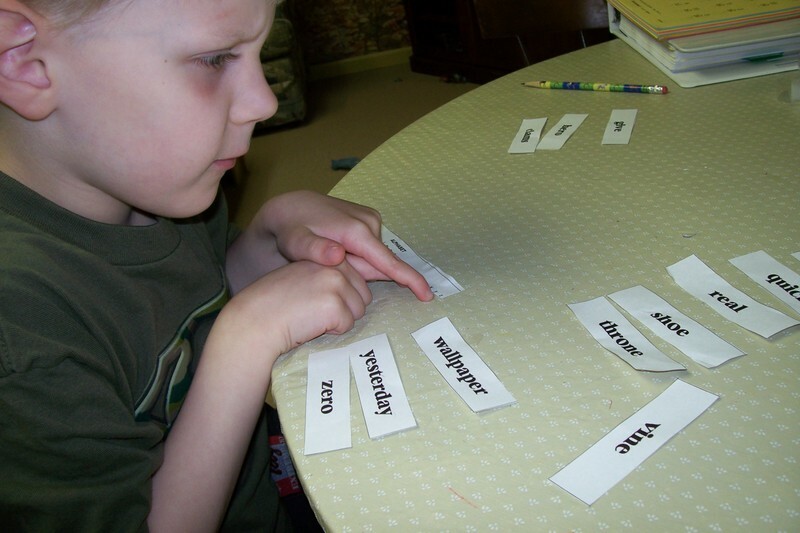 Handwriting Without Tears is a very nice multi-sensory handwriting program. 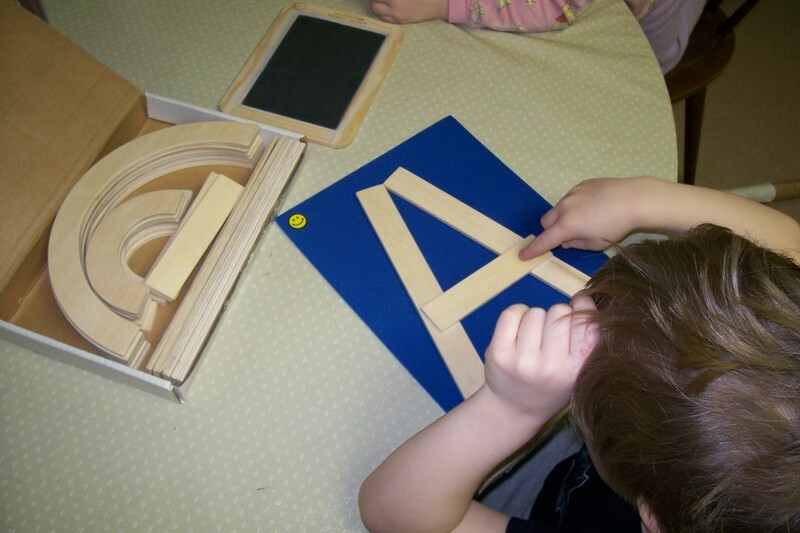 At the preschool level it begins with wood pieces that are used to form letters on a mat. The three and four year old are both capable of this. The proper placement of the wood pieces is followed by printing the letter with chalk on a personal size slate. This has a number of benefits besides the fact that it doesn't generate any paper waste. If necessary, I can lightly print the letter first in order for it to be traced. The action of using a tiny wet sponge to again trace and thereby erase the letter gives additional practice and fine tuning of motor skills. And the young ones find all of this to be great fun. For a struggling student, Handwriting Without Tears offers many other manipulatives to aid the process of learning to write such as a Stamp and See Screen and Roll-a-Dough Letters. So far, we haven't seemed to need the extra practice. Whenever possible we try to keep it simple! 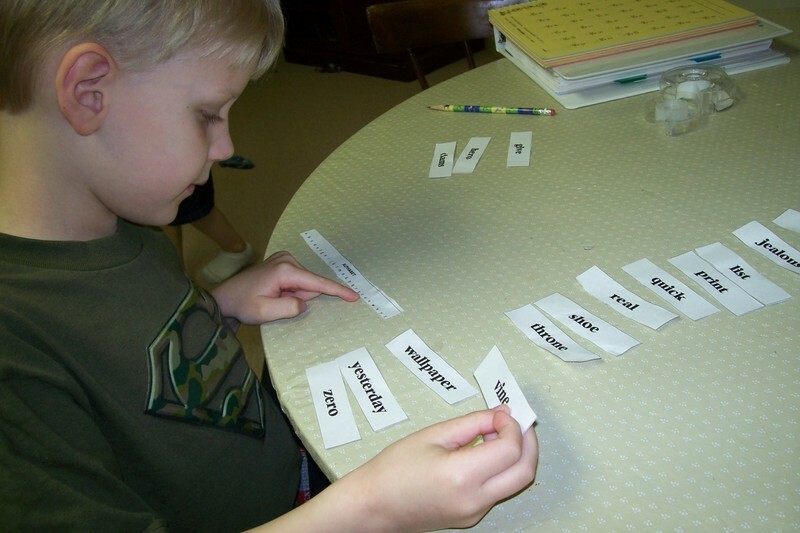 To lay the foundation for reading I teach the phonograms outlined in Reading Reflex while we work on our printing. These are the things we do for seatwork almost every day. It can take as little as 30 minutes and I always stop my preschooler before he has lost interest. Attempting to teach an unwilling child is a worthless procedure. Check back to see what other sorts of things we do throughout the day that incorporate learning. I'd like to leave the reader with some final thoughts lest they have the impression that our focus for our young ones is purely academic. Alicia Bayer has a lovely article, What should a 4 year old know? I read it every now and then if I am feeling the slightest bit anxious about the progress my preschooler is making. This question is beautifully answered by poet and homeschooling mother, Sally Thomas, in the journal of religion and culture, First Things. Read it online here and find out what home educating families have in common with the Pillar-Saints of early Christian times. Not long ago I knew everything my kids were reading...because I was reading it to them. 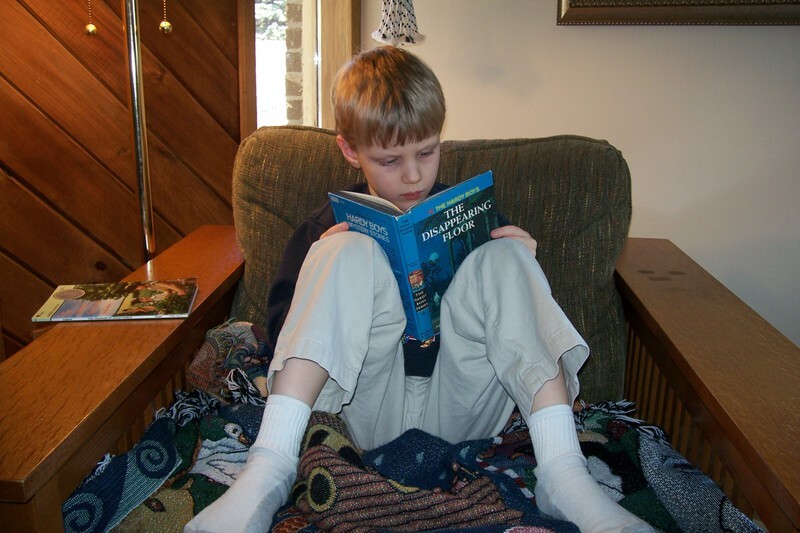 In September, my oldest began learning to read. First it was Bob Books, then it was Step into Reading, now it is just about anything. He recently discovered all of his dad's old Hardy Boys books. It takes him only few days to finish one and then he grabs another. For some reason, I never got into The Hardy Boys or The Nancy Drew series. It is strange to have a pretty much one-sided conversation about a book with him, to hear him excitedly telling us about what's happening in the world of Frank and Joe Hardy. He reads the books constantly. And I can't complain because he has kept up with his assigned reading. See the book on the arm of the chair? He was supposed to read a chapter a day for the next two weeks for American History. He read the whole thing this morning and then moved on to the good stuff. These are hard times for homeschooling. The cold, dreary days drag on and on. The "same old" school books are met with a sigh when we pull them out. And mom can't find reprieve in a bit of chocolate because it's Lent. When my friend Janet showed me a curriculum back in January based on Charlotte Mason's principles of living books, narration and notebooking PLUS hands-on crafts and activities I knew I had to give it a try. We patiently waited for our tax refund and then ordered American Story 1 and 2nd. Grade Language Arts from WinterPromise Publishing. We will begin on Monday morning and I can hardly wait. 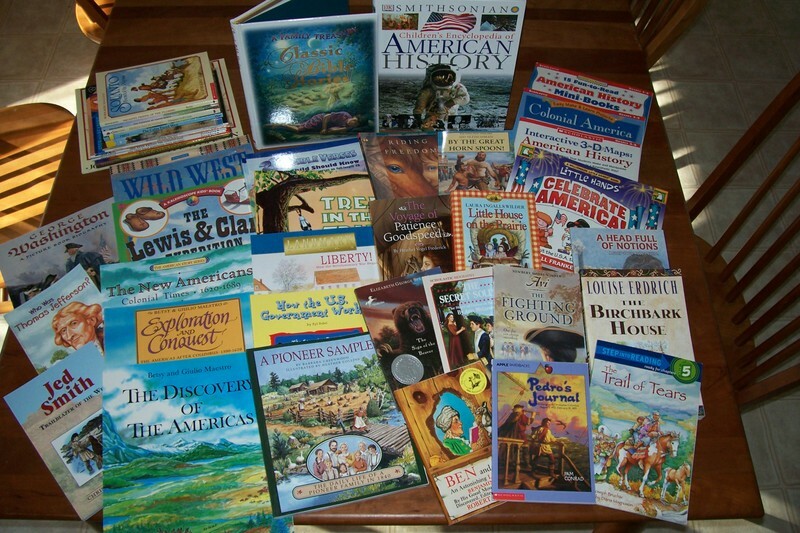 The books pictured above are not even all of the resources that came with the two programs! There are two fat program guides that include detailed 36-week schedules, teaching helps, activity planning charts and more. I know my visual learner will love the video and website suggestions that are sprinkled throughout the weekly schedules. My younger learners won't be left out as I am sure they will enjoy listening to the great read-alouds and participating in the games and crafts. And, almost as important as the curriculum content for me as the homeschool purchasing agent : ), WinterPromise Publishing is pleasant to deal with. They offer a payment plan for those who need it and curriculum phone support in addition to an online forum for users of their programs. When I received my shipment there was a small mistake and they called me to let me know they were aware of the error. It was corrected within a few days and they generously gave me a small gift certificate for the inconvenience caused by their mistake. So, I am really pleased with this company's service, the program guide is organized the way it should be for busy moms, and the books invite family members of all ages to thumb through them*. All in all, a promising addition to our homeschooling! *This preliminary review does not represent an endorsement of all of the titles pictured above. I have not had a chance to read all of the books so I cannot yet give them my personal recommendation.